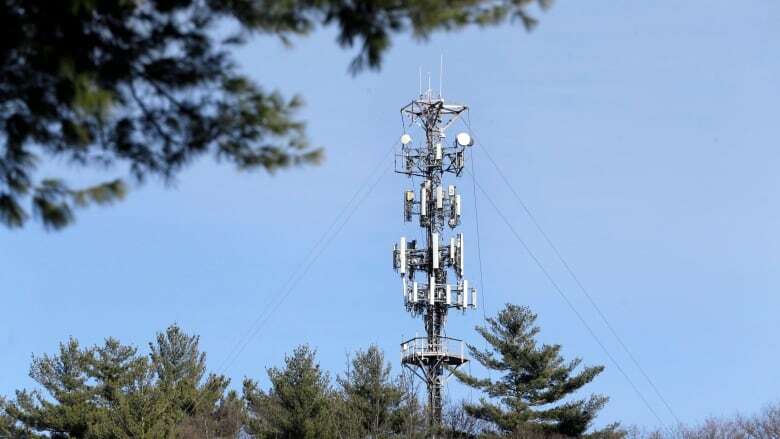 Some residents of a town southwest of Ottawa are urging telecommunications giant Rogers to rethink its plan to build a cell tower on a hill overlooking their community. Dozens of people attended a Tay Valley Township meeting Tuesday to voice their concerns about the nearly 90-metre-tall tower proposed for Maberly, Ont. — including what its installation could mean for their health. “It’s basically 400 metres from the whole village,” said longtime resident Lloyd Scott, whose home would sit beneath the tower at 472 Maberly Elphin Rd. According to the World Health Organization (WHO), studies published over the past 15 years have been unable to show any connection between exposure to radiofrequency (RF) signals emitted by cell towers and increased cancer risk — or any other long-term or short-term health effects, for that matter. While there have been media reports of “cancer clusters” around cell towers, the WHO said it’s expected such clusters would occur simply by chance, given how widespread such towers are. I would think half a mile [away from the town] would be somewhat acceptable. – Lloyd Scott, resident of Maberly, Ont. According to a staff report produced for Tuesday’s committee-of-the-whole meeting, Rogers had previously told Tay Valley Township it was complying with Health Canada’s regulations around safe levels of RF exposure. Scott called those regulations “outdated,” and cited a different study — one carried out in Germany over a decade that argued people living within 400 metres of a tower are three times more likely to develop cancer. He told CBC Radio’s All In A Day that if Rogers were to move the tower farther from the community, it would allay some of the residents’ concerns. “I would think half a mile [away from the town] would be somewhat acceptable. It’s not ideal, but I think it would put a lot of people at ease,” said Scott. In a letter to the township, included in the staff report, Rogers argued building the tower on the proposed site would enhance wireless service in the area. Scott said township council seemed “sincerely concerned” about what Maberly residents were bringing forward and would not give Rogers “a clear go-ahead” for the project. “A division of the government of Canada, from my understanding, may have the final say. They could put it through,” Scott said. Council will meet Jan. 22 to further debate the tower issue, Scott said, and potentially vote on it. This entry was posted on January 18, 2019, 2:10 am and is filed under antenna, Canada, cancer, cell tower, Maberly, Ontario, Rogers. You can follow any responses to this entry through RSS 2.0. You can leave a response, or trackback from your own site.